Specifically targeted at sports and fitness, Soul's Combat+ over-ear headphones are outfitted with innovative sweat-resistant elements that include the headband, Kevlar cable, and ear pads. The headband is adjustable to fit just about anyone through a set of built-in metal extenders. These over-ear cans offer good sound isolation. 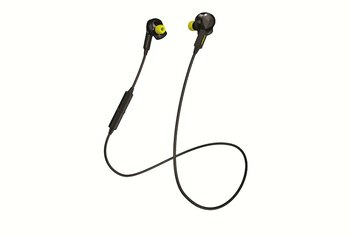 This isn't the least expensive sports headphone that you can buy. Bass is abundant but not as overpowering as on earlier Soul models. However, mid notes can sometimes sound a bit muffled. The Bluetooth-enabled remote that sits on the Kevlar cord is geared specifically to Apple devices. 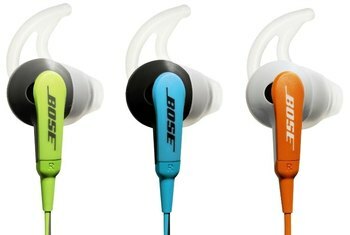 Headphones for sports and fitness aren't always in-ear models. 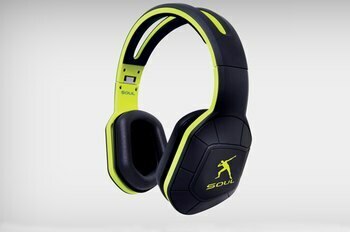 Soul Electronics's Combat+ ultimate active performance over-ear cans are built from the ground up for athletic use. The durable plastic headband is bisected in the middle, producing a large window that lets cool air flow during a hot and heavy workout. A 49-inch Kevlar cable, which houses a remote and mic, is both sweat- and tangle-resistant. The two types of interchangeable ear pads that ship with the cans--made of mesh or memory foam--are easy to swap out, clean, and replace. The rubberized headband is also sweat-proof and elastic. Even the audio cable with inline iPhone control is sweat resistant. They really are made for moving around while you wear them, and (spoiler), they really do work. 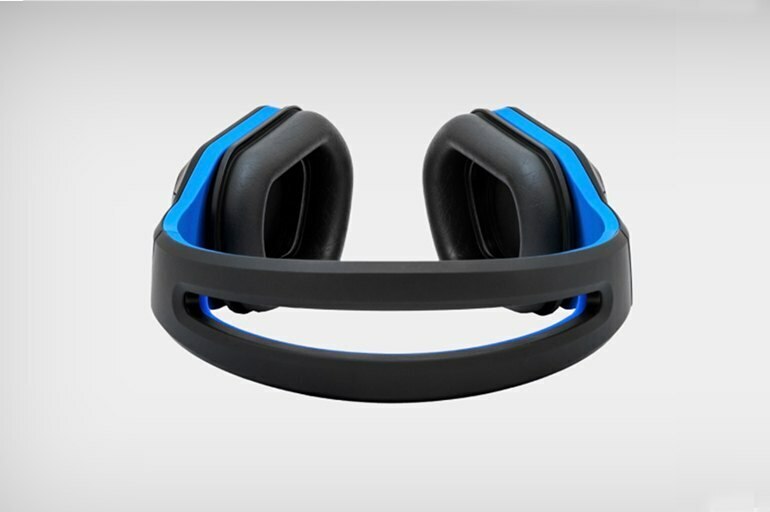 Combat+ has sweat resistant ear cushions which are very durable and last a long time of rough even with abuse. You cannot expect them to tear off so easily because they are made of ‘high quality’ material. 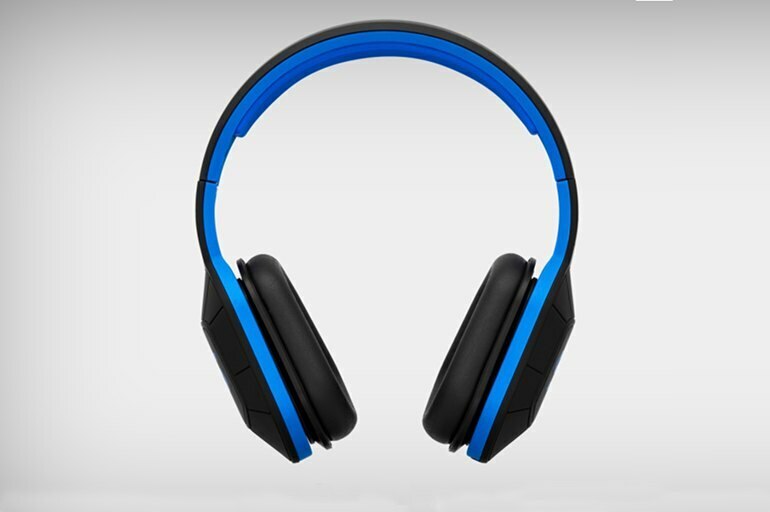 However nothing is designed to last forever, that is why Combat+ comes with additional pair of ear cushions to replace the old ones. Simply put they absolutely provided the best musical experience possible. The bass was enjoyably smooth and not booming in my ear, the sound was incredibly rich, and we never felt the needto raise the volume on our phones above 60 - 70 perecent as these headphones do a great job of passively blocking out background noise while in use. However, the makers also kept in mind the fact that many athletes do practice in public spaces, so even at 70 percent volume, users will still hear people yelling and cars honking. 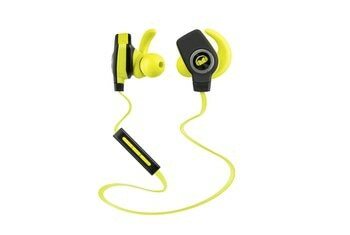 The Soul Electronics Combat+ headphones deliver loud, balanced audio in a workout-friendly, sweat-resistant frame. The Combat+ is marketed as a companion for athletes, so is designed to be worn during different fitness activities including running and weight training. The headband therefore has a split design to let heat escape and a compression fit, designed to fit tightly around your ears. The earpads are circumaural, meaning they surround your ears rather than resting on them. On a jog or at the gym, most over-ear headphones are too hot, too heavy, and too likely to jostle — and let's not mention the sweat. Soul Electronics attempts to do differently with the Combats, and succeeds. The over-ear Combat headphones are lightweight, sturdy, comfortable, breathable and deliver sound on par with the bulky over-ear headphones too fancy to toss into a gym bag. Despite the sweat I produced, it stayed centered. Here most of the sweat rolled off the band as I turned it over to snap a shot. Not to mention, the “wide grip” head band is extremely flexible. What's funny is I had no idea the recording artist Ludacris was behind these until just a few days ago, but knowing that now, I can understand why these headphones sound the way they do. Musically, the Combat+ (see them here) are as good as Beats by Dre (BBD), but superior to them in construction..I have to handle my BBD with kid gloves, whereas Combat+ is designed for the rigors of intense exercising. Also included in the box is a heavy-duty carrying case. The case is seriously the most durable, sturdy case I have seen included with headphones. I have no concern when throwing the headphones in it, and then into a bag, that I’m going to find some busted headphones when I unpack them.